Recesky is a company based in Guangdong, China that specializes in manufacturing plastic products. 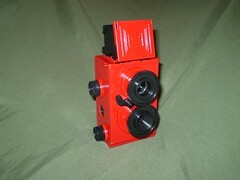 Some of its camera offerings include a 35mm DIY TLR Toy Camera, the Recesky TLR, as well as a stereo pinhole camera. This page was last edited on 5 May 2014, at 12:05.